Our online booking is specifically reserved for our loyal clientele. Please note all colour appointments - a consultation is reQUIRED. Any specific stylist drawing your attention? Checkmark at least TWO. We will be reaching out to you as soon as possible. Due to the high amount of inquiries the process of getting back to you may take up to 3 - 5 business days. Our business hours are from Wednesday to Sunday from 10 AM to 7 PM. We are closed Mondays & Tuesdays - our entire Vanilla Loft family is enjoying their weekend. Out of courtesy for your stylist, please provide 48 hours cancellation notice, or a cancellation fee will be charged. All deposits will be non-transferable if appointment is no-showed or canceled beyond the 48 hour policy. 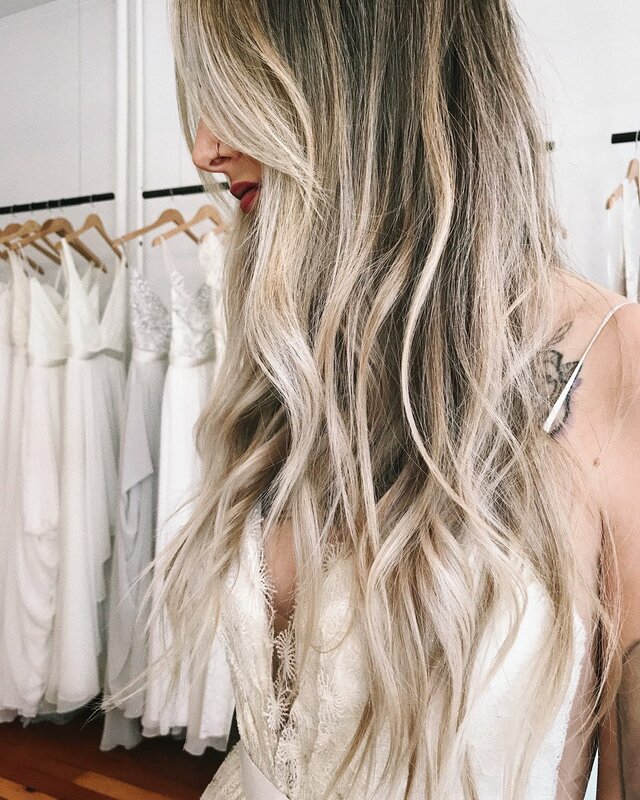 DEPOSITS MADE FOR YOUR COLOR APPOINTMENT IN COMBINATION AND DURING AN IN-HOUSE CONSULTATION ARE NON-REFUNDABLE IN GENERAL AND CAN ONLY BE TRANSFERRED TO FAMILY & FRIENDS WITH MANAGEMENT APPROVAL. It’s no secret that we love you and your minis, it's been incredible watching them grow! With the new salon space and busy staff, having children under the age of 12 poses unique and previously unforeseen challenges. Unfortunately we cannot assure their safety in the salon— we have hot tools, chemical products, sharp objects and no facilities to care for your children while you are in our hands. We kindly ask that you do not bring children under the age of 12 to accompany you during your services. It is in everyone's best interest that children stay safe and out of harms way. Your understanding is greatly appreciated.